Sets of two or more stamps for making a variety of quilt patterns. Made of premium quality natural rubber including cling foam backsides, without acrylic block. Includes a users description. - Equal Triangles 1.5 and 3"
- Squares 1 and 2"
- Thimbles 1.25 and 2.5"
Individual stamps for making one patch quilt patterns. Made of premium quality natural rubber including cling foam backside, without acrylic block. Includes a users description. 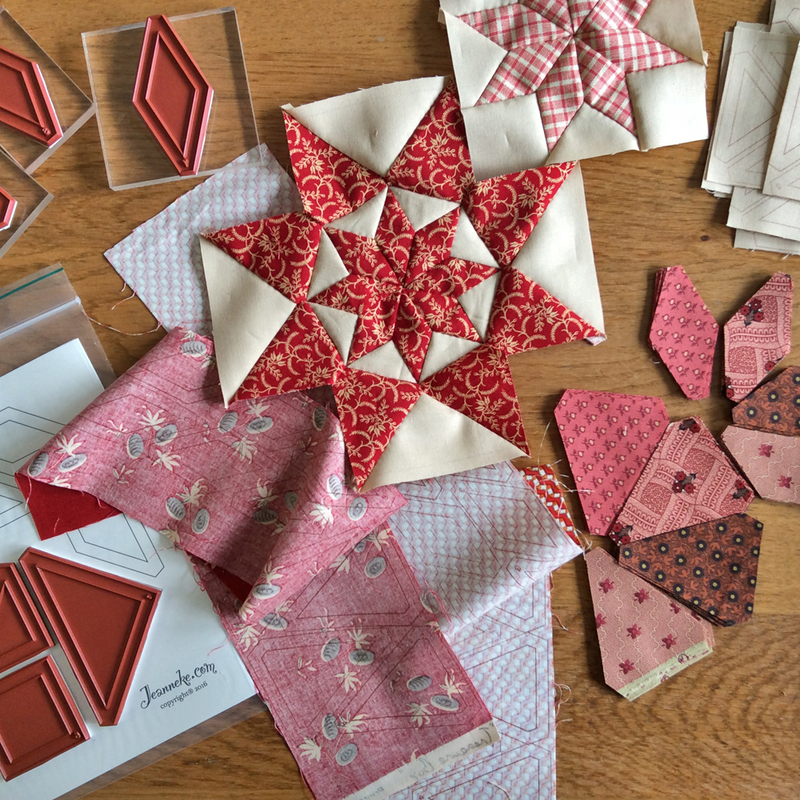 Individual stamps and/or stamp sets for complementing the Hexagon Star or de LeMoyne Star quilt stamp set. - Rectangle 1 x 2"
- 90˚Triangle Long Side 1"